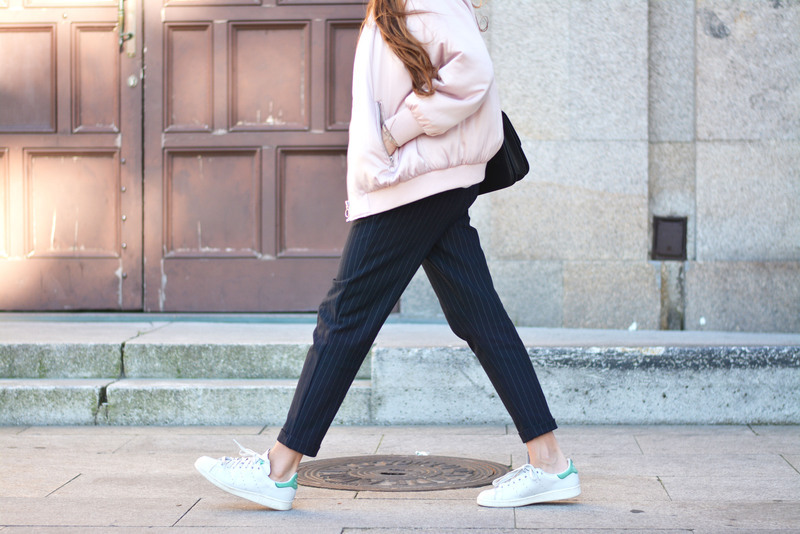 In love with the relaxed look with the pink bomber! ¡Monísima! me encanta el pantalón de vestir con las sneakers, y la bomber es una chulada.